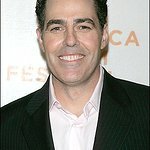 Adam Carolla is a radio personality, television host, comedian, and actor. His Adam Carolla Show, a podcast talk show, set the record as the “most downloaded podcast” as judged by Guinness World Records. Google trends for "Adam Carolla"